These days, we got used to the avalanche of new brands that mushroomed thanks to the Internet, its many crowdfunding platforms, and the easy access to global sourcing. The majority of these brands catering to the entry level and it’s more rare to hear about a brand that would like to attack the high-end, luxury segment. Czapek Genève, officially alive again as of November 10, 2015, would like to do just that, unveiling their debut collection, the Quai des Bergues. 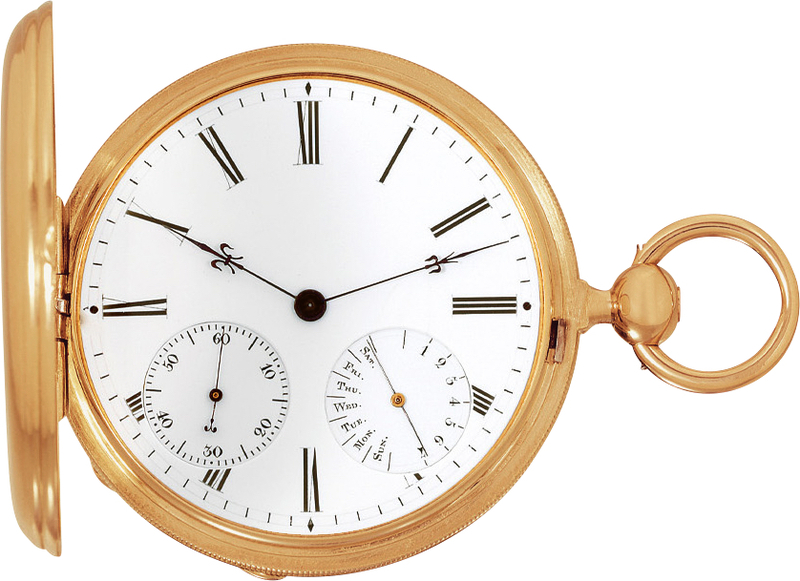 Before we would go any further, let’s take a look at the origin of the Czapek name. Of Polish origin, Franciszek Czapek was born at the beginning of the XIXth century, a tumultuous period in the history of Europe, in Semonice, Bohemia. As young soldier he got involved in the November Uprising that got crushed by the Imperial Russian Army. He had to flee and upon his arrival to Geneva in 1832, he gallicised his name to François Czapek. 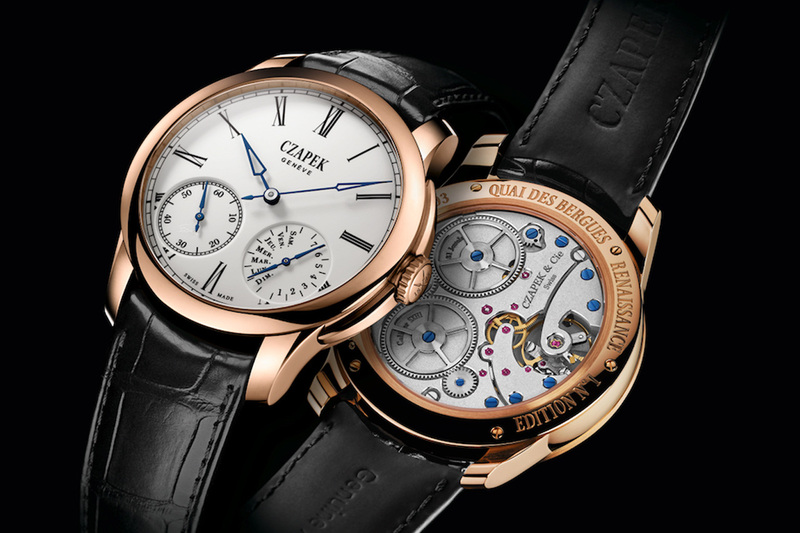 Two years later, he created the firm Czapek & Moreau with a local Swiss watchmaker Moreau, from Versoix. 1836, was an important date in his life, it was the year when he married the daughter of a clockmaker named Jonas Pierre François Gevril de Carouge, and he met Antoine Norbert de Patek, a fellow Polish émigré, former soldier and survivor of the insurrection. Patek shed his military past and joined in the creation of the company Patek, Czapek & Cie on May 1, 1839, a partnership that lasted six years. Sales and the administration of the company was in the hand of Patek, while Czapek devoted himself to his watchmaking and finishing art. 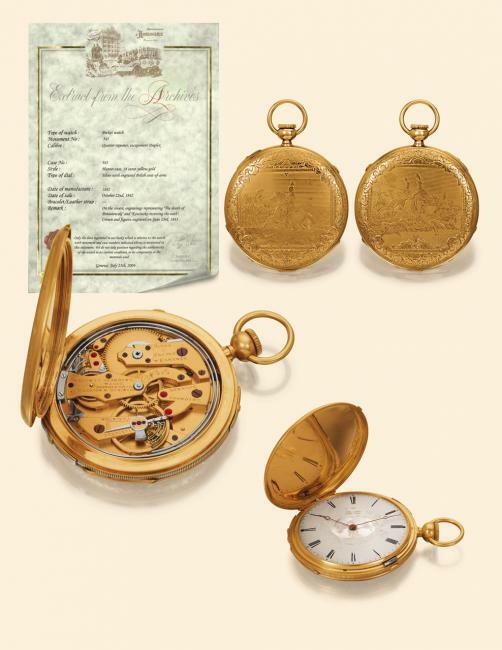 After the dissolution of their company, Patek went on to create his own company in association with Adrien Philippe, establishing Patek, Philippe & Cie. For his part, Czapek partnered with Juliusz Gruzewski, founding “the new” Czapek & Cie.
Czapek & Cie pocket watch, reference number 3430, Geneva, approx. 1850. If today, Patek Philippe does not need any introduction and the Czapek name is not as widely known, his timepieces were highly sought after by the most prestigious circles of the day. Among them – surely the most powerful and influential one – was the French Emperor, Napoléon III. An avid and loyal customer, he regularly sent in orders. He even granted François Czapek the illustrious and extraordinary title of “Horloger de la Cour Impériale” (Watchmaker to the Imperial Court). Business was flourishing, François Czapek kept his workshop on Quai des Bergues, the epicentre of Genevan luxury, opened a boutique on Place Vendôme in Paris, and another one in Warsaw. He wanted to pass his know-how down to the next generation, and so he wrote a book on watchmaking, the first one of its kind written in polish. He was on his way to publishing a second work when he died. The date of his passing has never been pinned down. Red gold Czapek Quai des Bergues N33 with typical Czapek fleur-de-lys hands. The idea of reviving the Czapek brand was born in Poland, where a few passionate people, a mix of laymen and historians, become interested in the forgotten destiny of the great “orologeur”. Their research led them to Switzerland, where they have encountered three other passionate men who were committed to reviving the Czapek name. 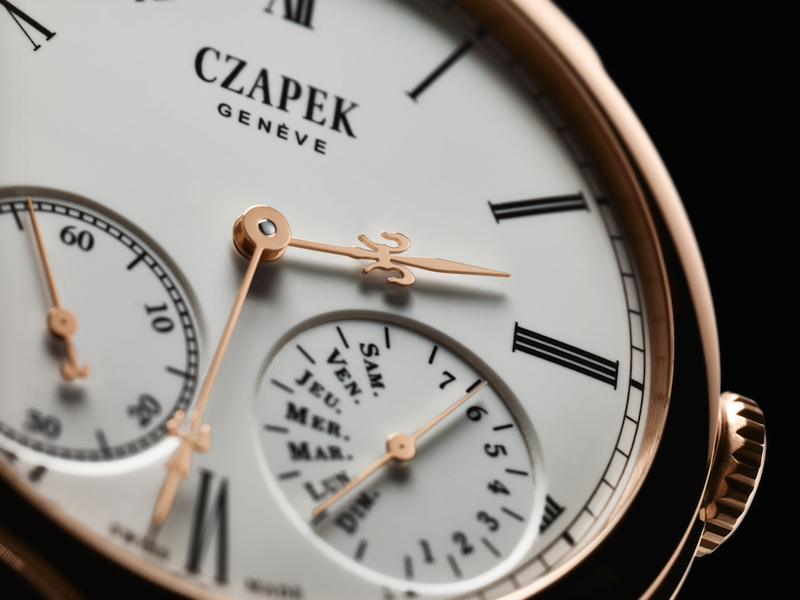 Thus, more than 170 years later, the Czapek & Cie, a limited company was registered again. The company is headed by Harry Guhl, a consultant in the domain of art and luxury, Xavier de Roquemaurel, who comes from luxury marketing and management, and an unnamed associate, a watchmaker with haute horlogerie experience. There is something quite interesting about the business structure of Czapek & Cie, collectors and horology enthusiast can contribute to the company’s capital by becoming shareholders. For this they use a European crowdfunding platform, or to be more accurate a crowdinvesting platform called Raizers. Each individual, regardless of means, the opportunity to invest in projects that are in their sphere of interest and are entrepreneurial in nature. In exchange, they receive shares in that company. 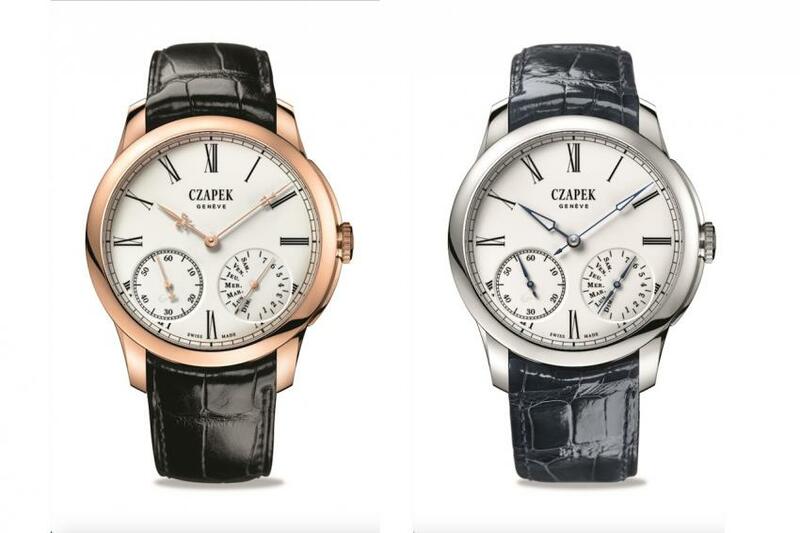 In white or rose gold, with a grand-feu enamel dial, new-line hand, or rose gold fleur-de-lys hands. In titanium and carbon or XO steel never as yet used in watchmaking, with a choice of white or black dial. With Quai des Bergues, Czapek is introducing watch collectors to a new material, “XO” steel. Discovered almost a century ago, “XO” steel is tougher to machine, but it presents certain advantages, such as high resistance to corrosion, particularly in acidic environments and seawater. Inside a Quai de Bergues watch there is hand-wound SXH1 calibre beating. The architecture of the movement is inspired from an historical calibre conceived and manufactured by François Czapek in the 1850’s. With a diameter of 32 mm and a height of 4.75 mm, the two barrel springs of the SXH1 offer 168 hours (7 days) of power reserve. It beats at a frequency of 21,600 vph (3 Hertz). The SXH1 was developed exclusively for Czapek in cooperation with GPHG prize winner Jean-François Mojon from Chronode. This approach of seeking out the best in all the domains to create a high-end watch is clearly visible in the suppliers of Czapek & Cie. They collaborate with big names of the industry, such as the famous designer Antoine Tschumi, LAB (Les Artisans Boitiers) one of the best case makers in Switzerland, Donzé Cadrans famous enamel dial makers that you might know from Ulysse Nardin, HMS Waeber hand makers, Camille Fournet strap, and Aurélien Bouchet who created the titanium crown protector integrated in the lug extension and the fleur-de-lys hands carved with a 0.15 mm tool. 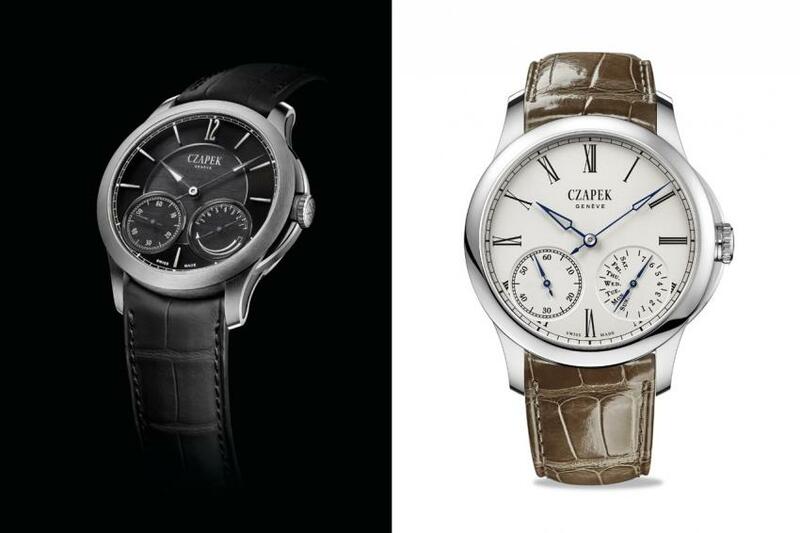 It will be exciting to observe the evolution of the Czapek brand. To learn more about them, visit czapek.com.